▲Please enter a valid email address! ▲Password must be at least 6 characters! Forgot Password? After player equips Relic, all stats will greatly increase. Relic stats can be increased through Enhance and Socket. 【Function Access】Click “Relic” in the bottom right of the Main Panel. 【Requirement】Character reach level 25. Can gain through AFK in Palace Dungeon and other methods. ·Relic Enhance consumes other relics, known as“Relic Essence”. ·Select“Relic Essence” quality to view number of “Relic Essence”of selected quality. ·Click“Enhance” to automatically add 6“Relic Essence”,click “Enhance” again to Enhance Relic. 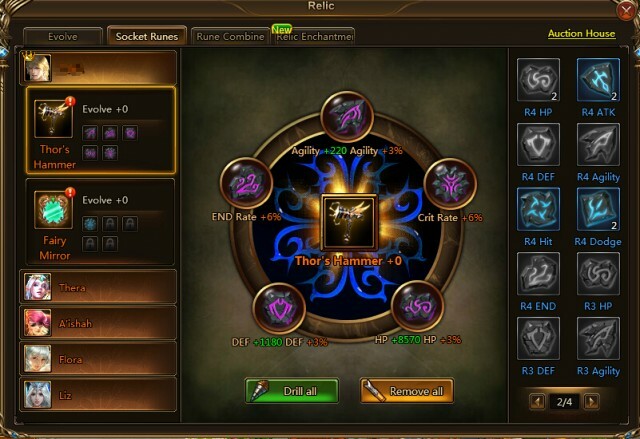 ·Choose“1 click Enhance” to automatically add “Relic Essence” and Enhance until next level is reached. ·Socket Rune to Relic to increase corresponding Relic Stats. Players need to drill before socketing. ·Each Relic has 1 socket initially, spend Diamond to drill all 5 sockets. ·“1 click Drill” will automatically deduct Diamond and drill all Relic Sockets. 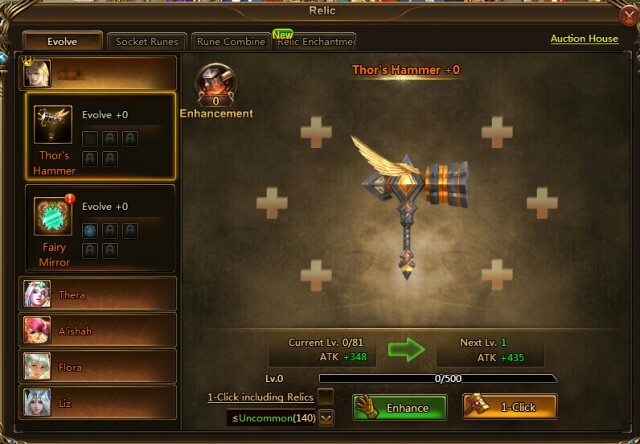 ·“1 click Remove” will automatically remove all Runes on the Relic. ·3 Runes can be synthed into a Rune of higher quality, Runes max out at level 7. 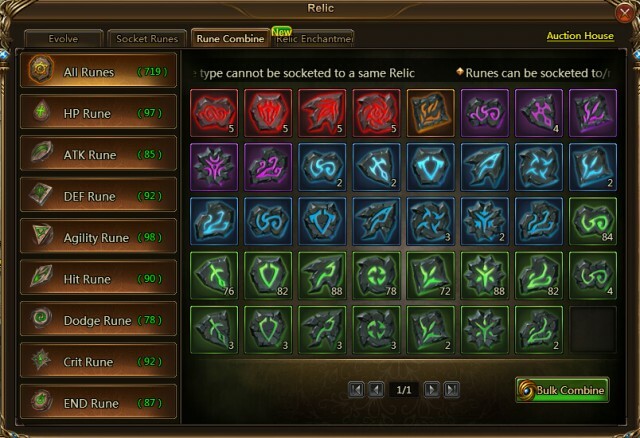 ·Any Relic can not have more than 1 of the same Rune socketed.